Fine hair can be kind of hard to style sometimes, and it may appear thin and dull when left lengthy and unkempt. The easiest and best solution? These short hairstyles are ideal for fine haired gals and you’re sure to fall head over heels for one of these unique styles. 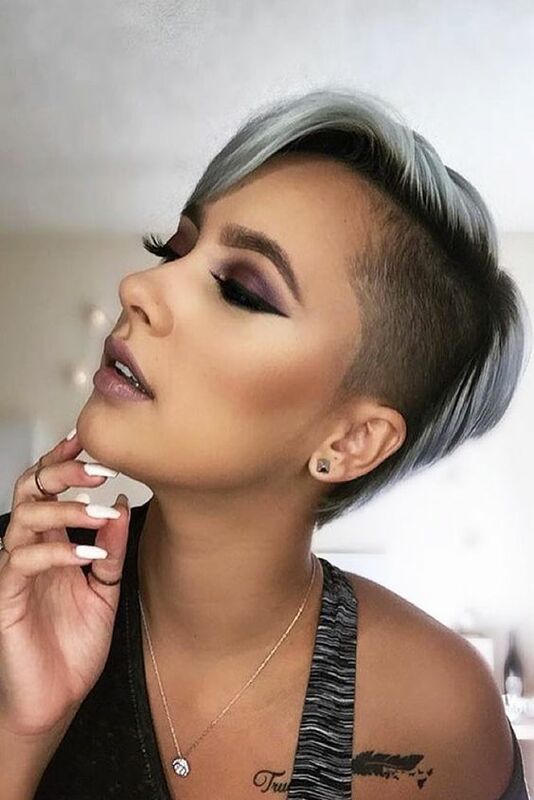 Platinum Under Shaved Pixie There are many different ways to rock undercut hair outside of the typical isolated shaved sections around the back or side. Those who want to take it a step further should opt for a Mohawk style.